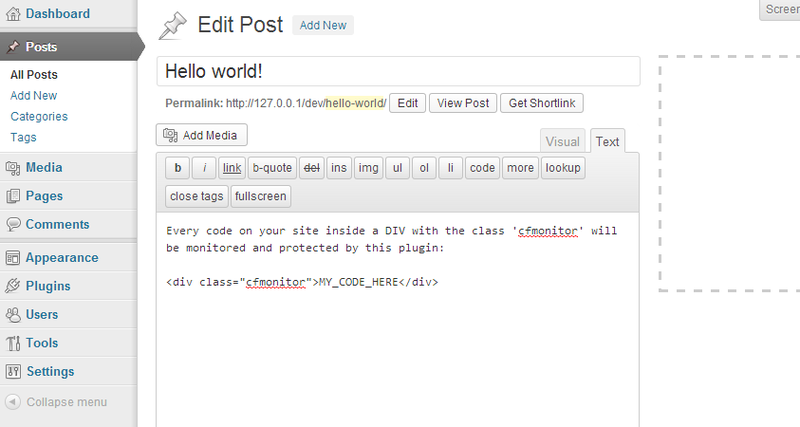 This WordPress Plugin is in active development and will be updated on a regular basis. 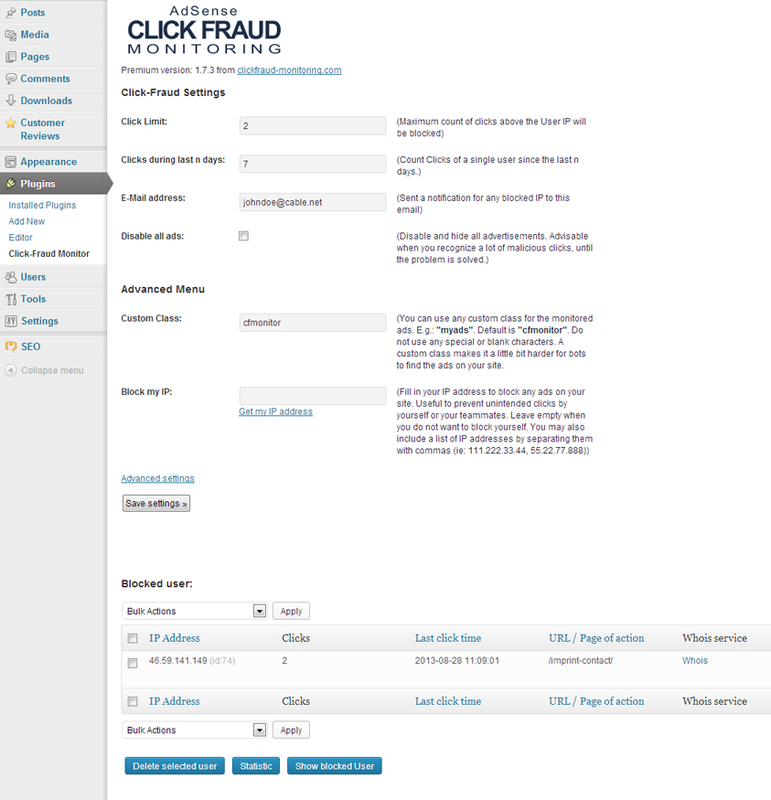 Click-Fraud Monitoring for Google AdSense and other pay per click advertising vendor. Prevents you to be banned and excluded from your AdSense account due to malicious third party clicks on advertisements on your website. The Plugin counts all clicks on your Ads. No matter if it is Google Adsense or any other advertisement. When the clicks exceeds a specified number it will be deactivated and hidden. The clicking user or bot will be blocked on a IP basis for further clicks. 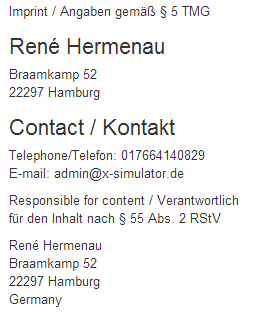 At the same time the plugin sends you a notification by email. Your are ready! Now you can try it out. Click on your Ads a few times and see it disappearing. Keep in mind that all clicks on the ads are cumulated. E.g One click on Ad A and another click on Ad B results in a total of two clicks. 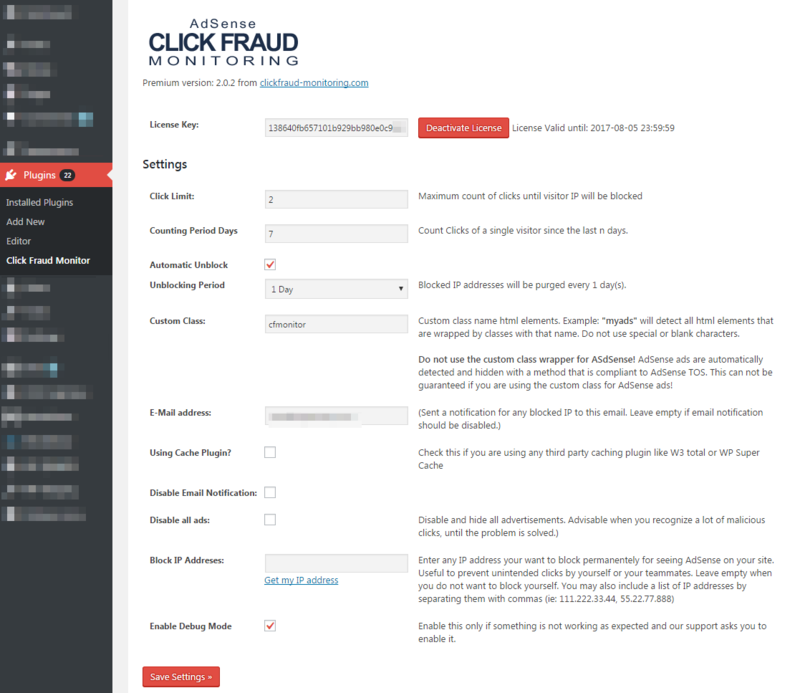 Now you could do some tuning in the configuration panel of the Click-Fraud Monitoring. 2. Clicks during the last n days - E.g. for 7: All clicks by one single user within the timerange of 7 days are counted. If a user is clicking one time on a Ad and three days later on two times it, the plugin counts a total number of three clicks and will be blocked if the Clicklimit is 2. If the user is clicking one time on a Ad and 8 days later on another click he is NOT blocked. 3. E-Mail Adress - That´s the adress which is used for email notifications of any blocked IP. 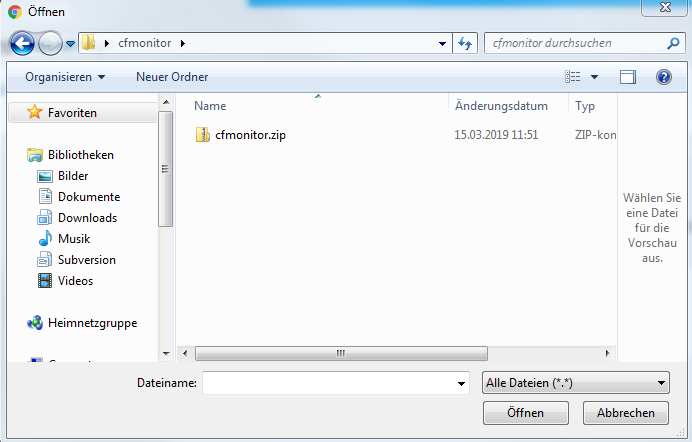 Per default it´s the administrator address of the WordPress installation. You can change it here. 4. Disable all Ads: If you recognize a unresolved increase of clicks on your site, you should deactivate all your ads for prevention as long as you have not notified Google about it or you did not find out who wants to harm you. 5. Blocked user: Find here all IP adresses which are blocked by the Click-Fraud Monitoring. If you want to unblock any IP just mark the checkbox and click "Unblock selected IP"
7. Block my IP: Define a specific IP you want to block. Use "Get my IP adress" to prevent yourself to be able to click on your own ads. I hope you will never be a victim of Click-Fraud but with this Plugin you should be steeled well enough not to be banned by Google if some one decides to harm you one day.